Remember running to your mom when you were a kid for some delicious Welch’s Grape Juice. Well now, you can use this same juice to make some refreshing and nutritious summer cocktails. So thank your mother for putting you on the right track, this juice is full of antioxidants, which means you’re doing something good for your body. Just remember to drink responsibly. All recipes provided by Welch’s. 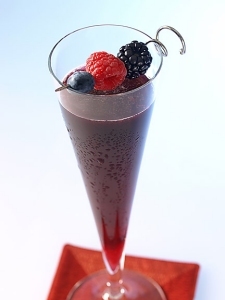 In a cocktail shaker, muddle blackberries and raspberries. Add Welch’s Grape Juice, club soda and ice. Shake well; strain into a glass. Garnish with a berry skewer. To make this into a slushie, combine all ingredients in a blender. Blend until desired smoothness is reached. Serve immediately in a chilled glass or refrigerate. 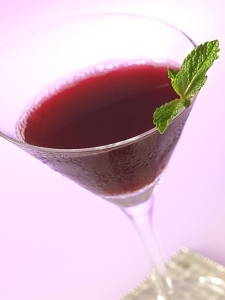 To make this into a cocktail, add 1 1/2 ounces of rum with the juice and club soda and follow the same preparation. In a cocktail shaker, muddle kiwi. Add Welch’s Grape Juice, lychee juice and ice. Shake well; strain into a glass. Garnish with a kiwi wheel. 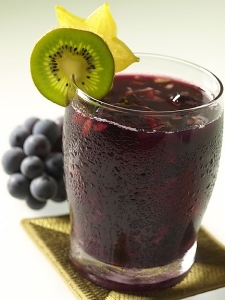 Mix Welch’s Grape Juice, passion fruit juice and ice in a cocktail shaker. Shake well; strain into a glass. Stir in ginger beer and garnish with a fresh mint sprig. To make this into a cocktail, add 1 1/2 ounces of vodka with the juices and follow the same preparation.